Recently I published a picture of small balls of cotton which had been dyed with plant material in a village in the north of West Timor. Yesterday I used a WAFTA studio day at Craft House, Menora, to wind four skeins of commercially spun but hand dyed cotton weft yarn into balls. 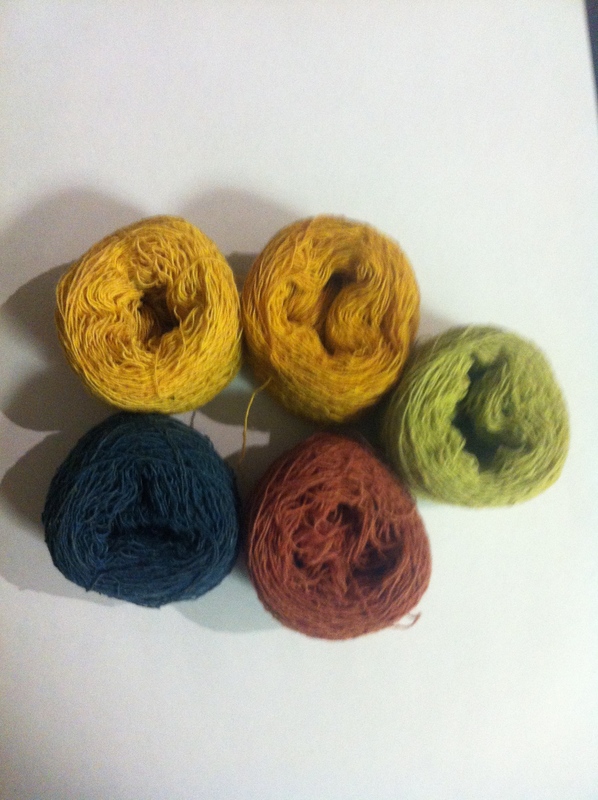 The skeins were quite large but easier to wind that the hand spun. They were dyed in Baun village, by the Kaina’e co-operative in the Amarasi Kingdom. 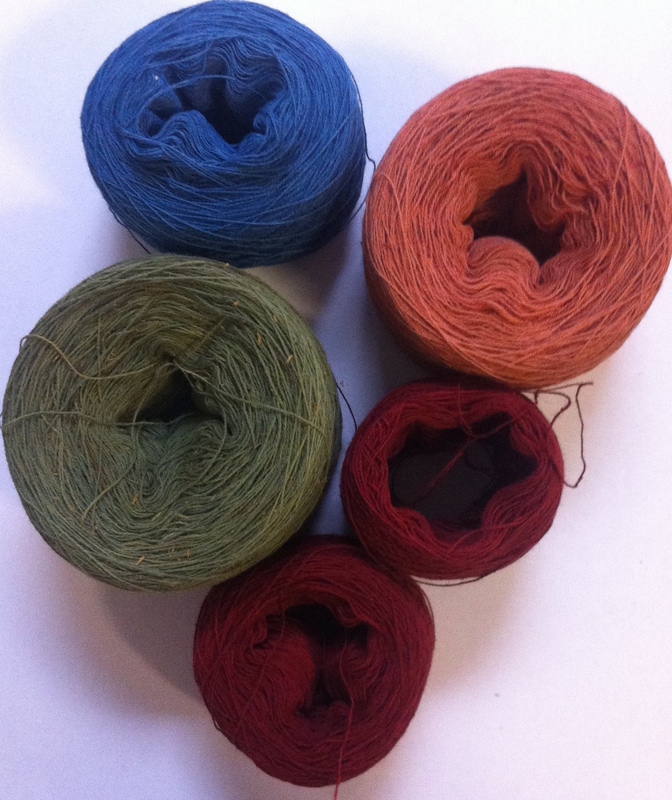 Indigo, olive green and two shades of morinda cotton weft thread dyed in Baun Village. The blue above is indigo although this village uses less indigo than many others because of being in the forest with plentiful morinda bark and root around. The green is not the bright limey green of the north village so I suspect it was produced by first dyeing in indigo and then over-dyeing with mango root. The rusty pink ball is a weak version of morinda citrifolia while the dark red is the full on strength of the same dye. This co-operative is well known for its good morinda colour, which is due to their repeated immersion of hanks into the candle nut mixture they use to prepare the cotton for dyeing and then to the 14 or 15 consecutive dips each skein in given, being allowed to dry completely between each “dip”. This process takes about a month. more fabulous colours! made we wonder if mango skin would do anything to indigo dyed cotton? We could try. And at the same time, grate some turmeric root.